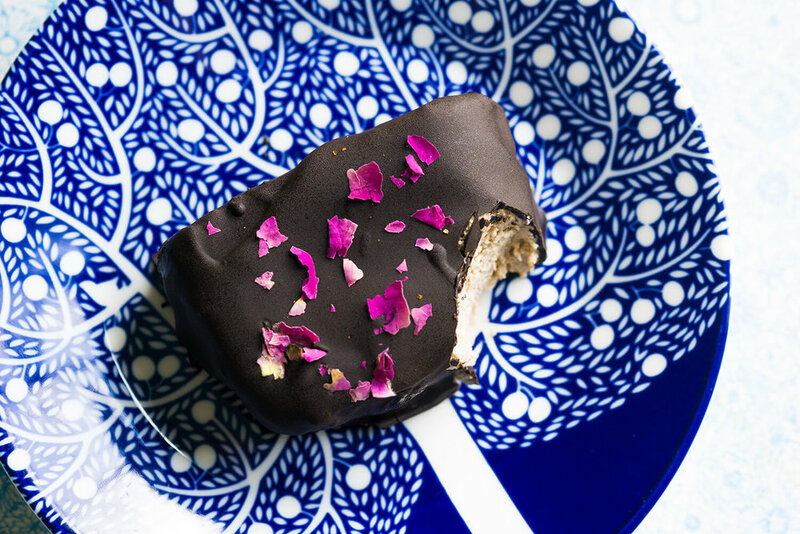 Rose petals, cashew ice cream, smothered in 85% dark chocolate.....yeah it tasted as good as it looks. Back in days of yore, the dark days of veganism, only a handful of chocolate bars were vegan. Fry’s chocolate cream, a dark chocolate covered mint cream that was so sweet it would alert you immediately to any missing fillings instantly by pinging a nerve and help create the need for even more dental work. And then there was Fry’s Turkish delight. A rubbery jelly block of pink stuff covered in dark chocolate. Nothing like the ACTUAL Turkish delight. But when did us Brit’s ever recreate any food without making it a cheap theme park version of the original? This is my recreation of the chocolate bar but, you know, nicer. So that’s 2 Vegan chocolate bars from the 90s I can remember.